Who, exactly, are you trying to reach? When you are going to market with a product or a solution, you need to connect the right way, with the right audience. To do that, you need to have a clear idea of who you are trying to reach and what their concerns are. It makes sense that this approach should be central to any good marketing plan. 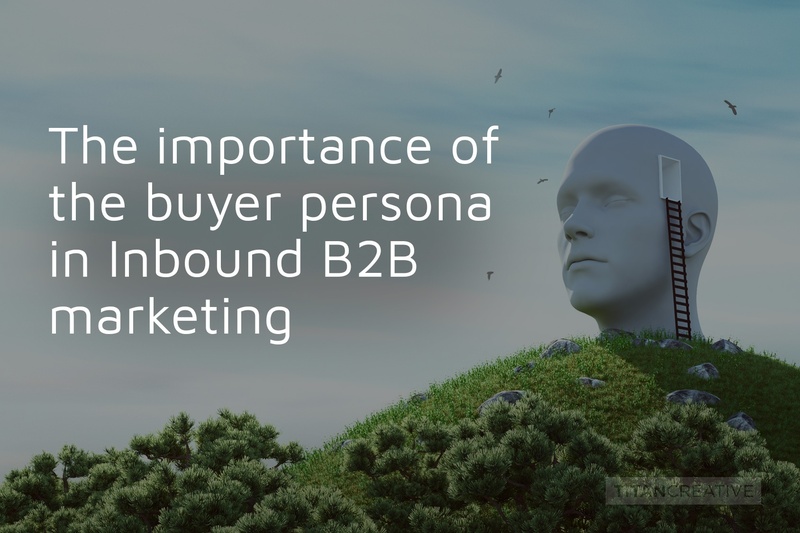 Indeed, buyer personas are at the heart of the Inbound marketing philosophy, which considers the buyer persona in the additional context of the buyer's journey – awareness, consideration, and decision stages – allowing you to be able to connect the right way, at the right time. Buyer personas are essentially personifications of your ideal client or customer. They’re designed to give you a more intentional, effective approach to targeting. It involves understanding individual challenges, priorites, roles, and goals – and channeling that understanding into the development of strategic content that will intuitively appeal to your prospects (aligning to the Buyer's Journey). In a B2B context, this can become even more important, because decision-makers in business require more nurturing than individual B2C consumers when making a purchase. Demographics: In a B2C context this would primarily mean looking at the gender, age, location and interests of your ideal customer. In a B2B context, it means focusing on what level they’re at in the organization, how many people report into them, who they report into, what industry they are in, the budget they’re likely to have available, etc. Challenges and motivations: Most big purchases are motivated by a challenge or opportunity, so identify your ideal client’s challenges. Do they want greater efficiency, to save money, or to cut down on the amount of time it takes them to achieve their goals? It's critical to have a good idea of key challenges and build out message and positioning from there. Buyer behavior patterns: How long does it ordinarily take for your ideal client to make a business decision? What is the process they go through? Who have they bought from in the past, and what was their experience? What are their favorite B2B brands? How do you get the intel you need? Fleshing out and developing a good target persona should involve a mixture of quantitative and qualitative research. Through HubSpot’s tracking tools, you can determine how often your ideal clients spend on your site before they make a purchase. You can also improve ways of gathering useful information — for example, making ‘Job Title’ a mandatory field they must complete before granting access to a valuable content upgrade. This kind of smart tracking and data request will help you determine what level they’re at in the organization, what actions they're taking and how to improve the experience for future engagement. You might also choose to interview trusted clients about their challenges and what motivates them when they are making important purchasing decisions. Ask about what compliance processes they have to go through for major spending, and how many people need to sign off. Your Sales team is an invaluable resource in this context. They interact with your clients more directly and may be able to fill in some of the blanks for you on the questions they get asked most often, and on what their clients' priorities are. Social listening can also play a role — what are your potential clients asking about in the comments sections? What posts do they most frequently like and share? These are valuable indicators of what’s important to them. They key here is, you don't want to be pushing features and capabilities towards your prospects in a way that represents what's important to you. They will tune you out. Your audience is likely already being inundated with pushy sales tactics by other vendors. Instead, you want to know how you can help your prospects the best way — and demonstrate this understanding in your messaging to them. "You must think like a customer first, understand their world to relate. When you empathize with your buyers, you gain a far greater emotional connection to their day to day experience. This in-turn becomes the foundation to your Inbound Marketing strategy. In our product marketing methodology, we see Buyer Personas used for Inbound Marketing and beyond. When built correctly using the right approach, they become essential to your product / services holistic go-to-market strategy - the overall experience of your brand. Buyer Personas are a key success factor to the voice of the customer programs we offer to clients. We call it an "Outside-In" go-to-market strategy." When you start to align this this approach end-to-end with a 'helpful' sales experience - you start to really change the game. Prospects will be more likely to trust and come towards you as the value and relevence to them is self-evident and seamlessly presented. Finance Frank is CFO of an insurance company. He has roughly 20 people reporting into him, and he reports directly to the CEO, as well as sitting on the Board of the organization. Finance Frank has been using legacy software to manage payroll for a number of years to pay the 400 staff of the organization. His team reports that the software is outdated, frequently breaking down and taking significantly more time than it should to process payroll. If his employees are paid late, this is a massive headache for Frank and his team. However, Frank is concerned about both the cost of a new software, the possibility that it will also come with problems, and the potential complexity of replacing a legacy software with a new one. Frank will need any increase in spend on the software approved by the CEO. He is likely to make a purchase in the end, but it may be a time-consuming process. Persona development is a worthwhile investment that could pay off in spades. Make it a priority before you begin in-depth planning of tactics and campaigns. As you move forward, consider your personas (and the Buyer's Journey) for every type of content and communication you produce. This will be an ongoing process. As the market evolves, needs change and new solutions and considerations emerge, you'll need to actively refine and update your persona info. Learn more about how B2B Inbound marketing works. Titan Creative Inc. is a strategic marketing Agency helping clients across North America drive results. PREVIOUSThe Wire for B2B marketers: The game is the game.